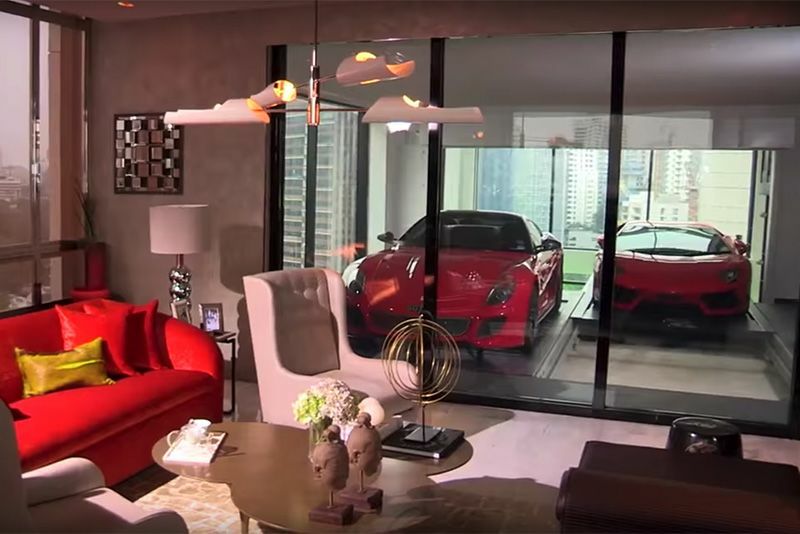 People go to great lengths (and heights) to protect their prized motor vehicles, just look at this video of unusual and cool garages to see what I mean. Everyone that has a car knows how important a garage is. Not only does it protect your vehicle from the weather, not to mention those baddies who want to steal it, but, for most, it's also a great place to collect a bunch of junk you don't need. Unless you're one of these people. I'm talking about the person who carries a shammy in their pocket to wipe off fingerprints from the door handle after using it. The collector who will spend more money on a car that's 40-years-old than they would on the modern day equivalent. The kind of character that cringes at the thought of having to put their better half in the passenger seat to go to that all-important fund-raiser. So, what do people like this do to protect the love of their motoring lives? Well, that's easy... they have garages like these! Hit play below to check out some unusual garages that really will make you go 'Wow!'. Video: Drifting The Best Road In The Whole World!